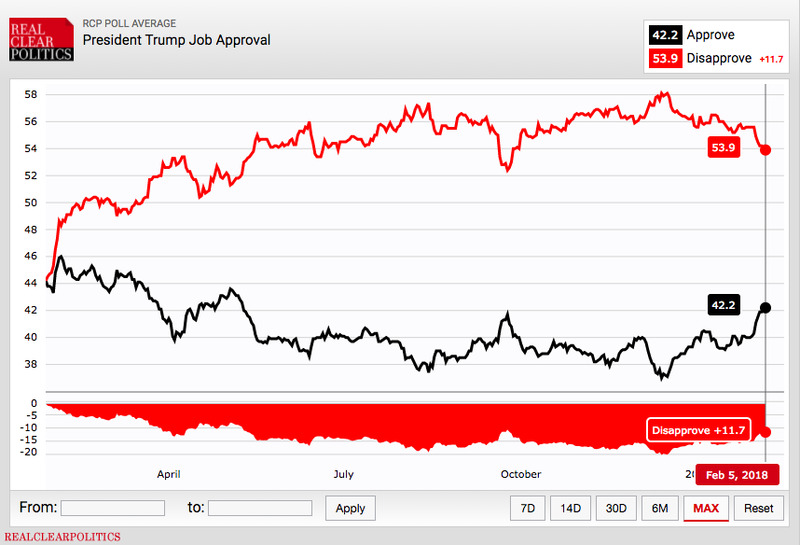 President Donald Trump’s approval rating has jumped to its highest level since May in the RealClearPolitics average. “Rasmussen just announced that my approval rating jumped to 49%, a far better number than I had in winning the Election, and higher than certain ‘sacred cows,'” Trump tweeted Saturday. 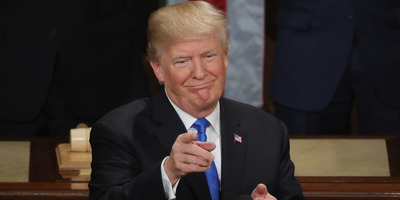 President Donald Trump’s approval rating has reached its highest point in nearly nine months, according to the RealClearPolitics aggregate of polls. Trump on Sunday reached a 42.2% approval rating in the aggregate. It was his highest rating since he hit 42.6% on May 9, which was the day he fired FBI Director James Comey. The improved rating came on the heels of three polls published following his State of the Union address last week. 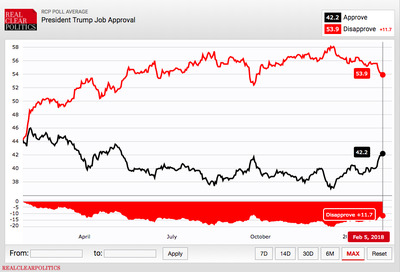 Both an Economist/YouGov poll and a Monmouth University survey found Trump’s approval rating to be 44%, while a right-leaning Rasmussen poll found Trump’s approval rating at 49%. Trump’s bump came after polls showed that most Americans who tuned into his first State of the Union address – an audience that skewed a bit more Republican than the voting populace as a whole – liked it. A CBS News poll found that 75% of those who watched Trump’s speech approved of the address, while just 25% said they disapproved. A CNN snap poll following the speech found that 70% of viewers had a positive reaction, with 48% saying they had a “very positive” response. In the speech, Trump touted his first-year achievements, such as the new Republican tax law and his efforts to reshape the federal judiciary. Recent polls have shown more Americans have started to view the tax law more positively as it has started to be implemented. But in recent days, after a period of relative calm from the president, Trump has gone back into full-throated attack mode after he declassified a controversial Republican memo from the House Intelligence Committee. Trump complained Saturday that the media was not covering his improved approval ratings.